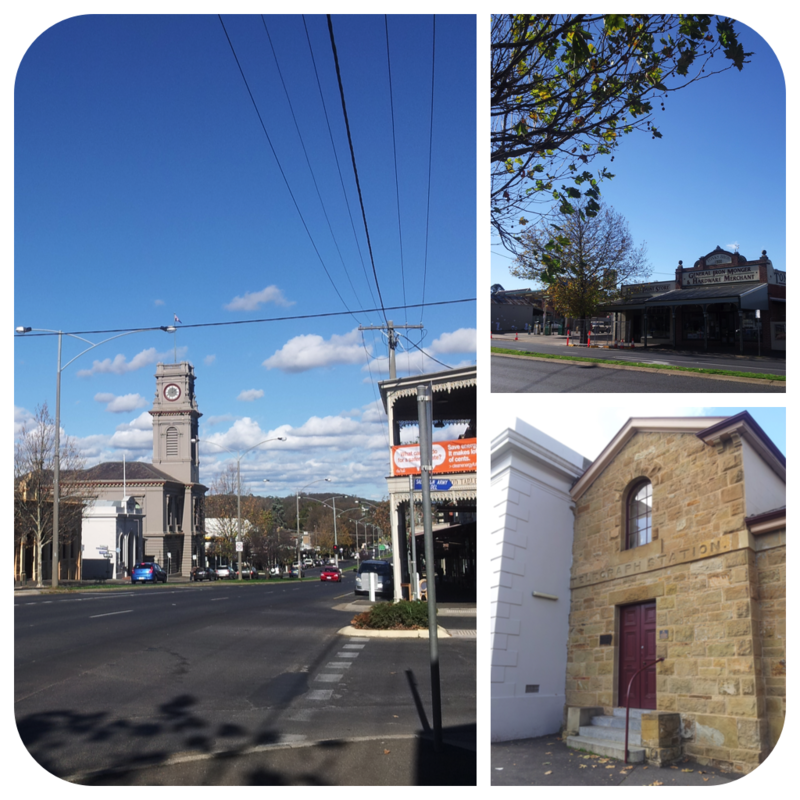 Once upon a time, there was a little town nestled in a valley called Castlemaine, and in this little town was a little yarn store called Zigo Zago. One day, Zigo Zago had a very special visitor. Her name was Meghan, and she brought with her some magazines that she had her friend had worked so hard on to share with knitters from all around the valley and even as far as the big city. They were invited to come to the store to have tea and chat with Meghan and at PomPom Quarterly and to squish all the lovely yarns that they might use from projects from the magazine itself. 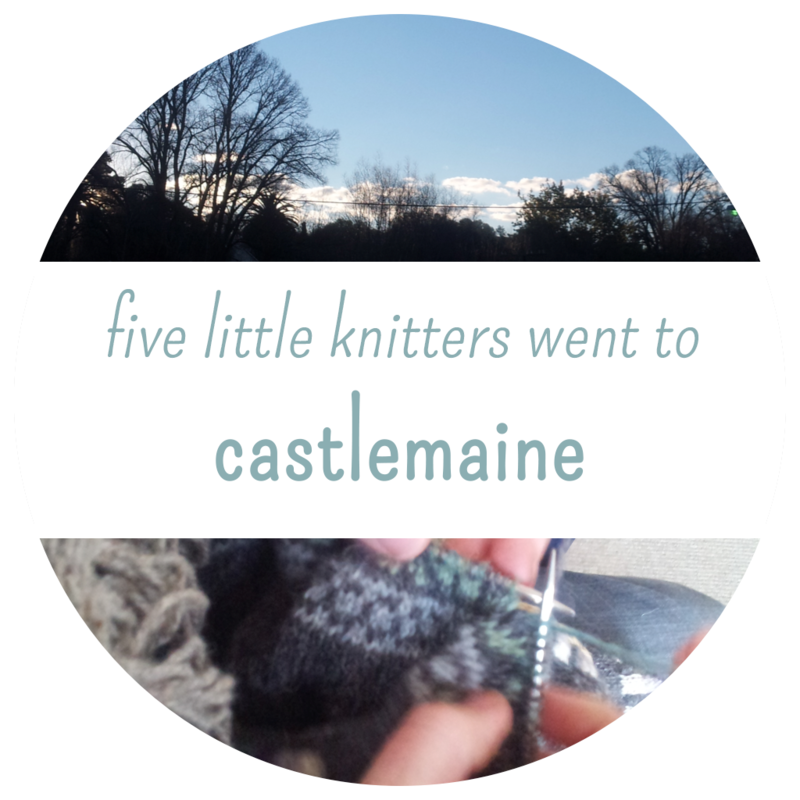 Well, The Shy Lion and his friends, Jules, Amy, Chelsea and Jackie all decided that they must catch the train to Castlemaine for the afternoon tea at Zigo Zago, and so our five little knitters made their way to the little town in the Valley. It was a lovely little town, and there was lovely weather – nice and cold but clear and sunny. 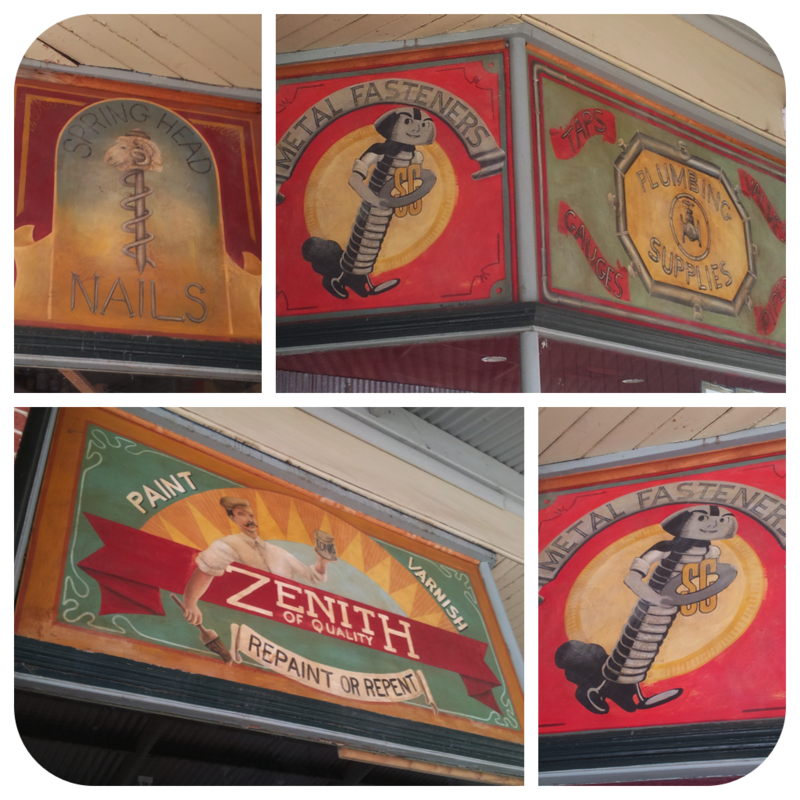 There were lots of delightful things to see in Castlemaine, like this old hardware store with beautiful hand painted advertisements. But, there wasn’t too much time to spend pottering about; the were magazines to read and yarns to squish and people to talk to! There was even time to knit, of course. 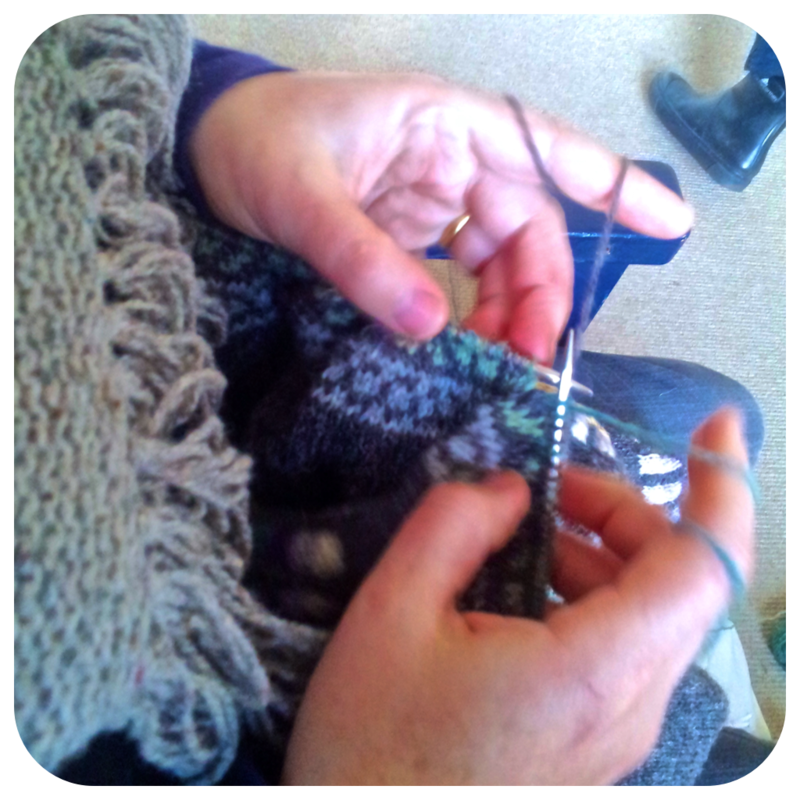 Jules was working on some beautiful Fair Isle. Her hands were moving so fast it was difficult to get a picture. Our Ms. Woollenflower is quite the expert. 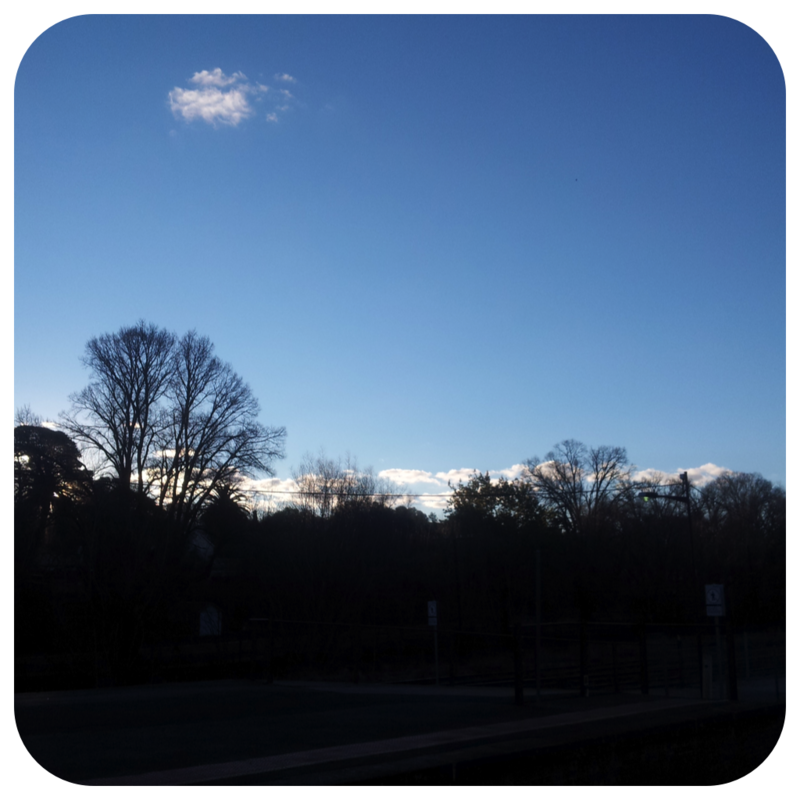 And then, all too quickly, the sun began to sink slowly down behind the trees and hills, the little town grew sleepy, and our four of our five little knitters had to hop back on a train and go weeeee-weeee-weeeee all the way home. I only bought one skein, so it wasn’t quite a haul, but it was the most delicious yarn! Mmmmm….